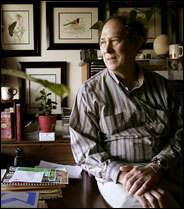 We were saddened to hear of the death of a great scientist and sustainability leader, Dr. Stephen Schneider. As others have chronicled, he was a brilliant champion for rigorous and decision-maker-oriented climate science. True to Science and true to Relevance. Here at Climate Interactive, his guidance as one of the members of the scientific review committee for C-ROADS has shaped and will continue to shape our simulations and how we use them. Look at the shaded blue areas on the Climate Scoreboard (showing the uncertainty range) and you can see his counsel. And, ironically, Tom Fiddaman at Ventana is just starting to build new structure for handing uncertainty in C-ROADS — the world will continue to benefit from his guidance.